In this post I'm going to share with you Social Media Tips For Network Marketing, and should you mention your MLM or Network Marketing company name as part of your social media marketing strategy? The methods for building an MLM company have drastically changed over the years. It is a constantly evolving process that many people are still trying to grasp. Cold market prospecting and hotel meetings are becoming less and less popular, not because they don't work, but because of the power of Social Media! Social Media has enabled Home Business owners to share, post, quote, and use video to become visible, spread their message and build their brand. It absolutely ROCKS! The challenge that comes with a new method of using Social Media for MLM, is that most people simply don't know how to use Social Media effectively without coming across as salesy or pitchy (two major no-no's on Social Media). So you may have determined that you would like to implement an MLM Social Media strategy, but you just don't know where to start or what to post! You see other MLM'ers posting all over Social Media about their products and companies, and you may wonder if they are getting good results with it? 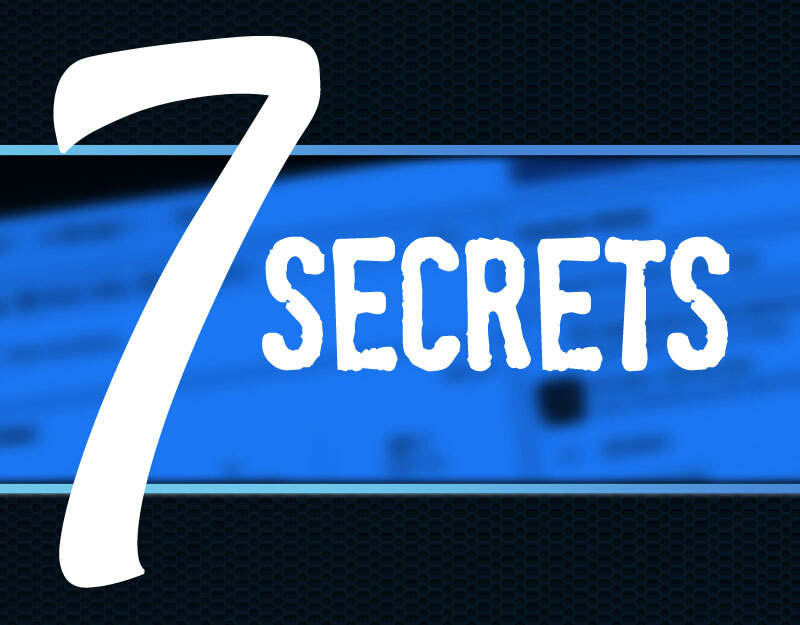 Do you want some Social Media Tips For Network Marketing? Well you have come to the right place! 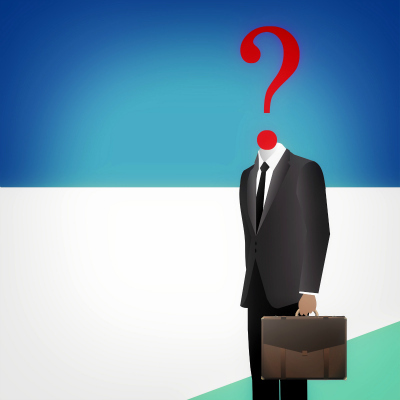 I had a prospect who was watching one of my Facebook LIVE videos ask me a great question. She wanted to know whether or not she should use the name of her company when she was posting conent as part of her Social Media Marketing. She said that she sees everyone else doing it, but wasn't sure if she should be doing it as well. I will tell you right now, that most of the Home Business owners who you see posting the name of their companies and products are NOT getting the results that they want! Now that may come as a surprise to you, but in the video below, I answered the lady's question and shared Social Media Tips For Network Marketing. In addition to that, I also gave some great Social Media marketing ideas… AND examples of how to use Facebook for Network Marketing posts! Watch the video right now on Social Media Tips For Network Marketing- Should You Mention Your Company Name On Social Media? Did you find this video helpful? 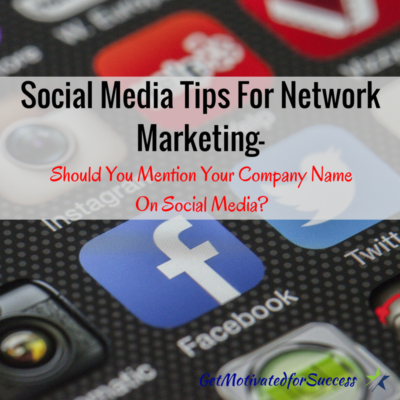 If you did, feel free to comment and share this post on Social Media Tips For Network Marketing- Should You Mention Your Company Name On Social Media? Sometimes when people are zagging, you need to zig! Just because everyone is sharing the name of their company or products doesn't mean that it works! Be a smart business owner and use your Social Media effectively so that you can get RESULTS! That is what you are looking for isn't it? Cold market prospecting is something that you will need to become good at if you want to grow a large MLM or Network Marketing buisness. 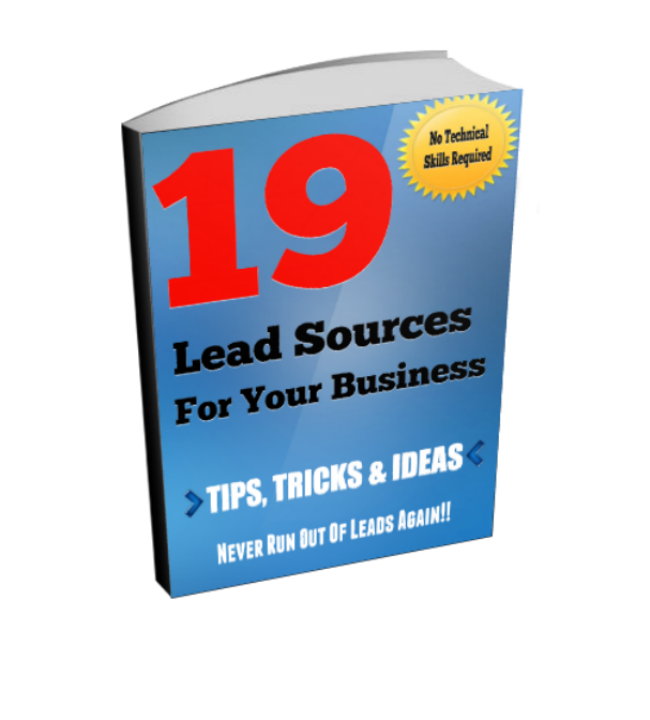 It is a fact, You WILL eventually run out of people in your warm market (your friends and family) so you have to be able to continually bring in new leads or prospects to share your business opportunity with. Many people find mlm prospecting very difficult. They feel uncomfortable approaching and speaking with strangers, or simply just don' know what to say to a person when they are cold marketing. This is the very reason why a lot of excited MLM'ers end up quitting their businesses; they haven't mastered cold market prospecting. The sad part is, many upline leaders don't teach cold market prospecting techniques. They just say, “go out and talk to people.” That can be very intimidating to the average person who didn't feel comfortable talking to complete strangers in the first place. It is very frustrating to want to grow your business, but at the same time, feel very vulnerable and limited in how you can grow your business if you have not been taught the proper way to talk to a potential lead or prospect. I feel for you if you are in this situation. That is why I made a video on how to approach cold market and provided the 4 Leading Questions When Talking To Cold Market Prospects. If you use these cold market prospecting questions that I share in the video, you will be on your way to becoming a master cold market machine! 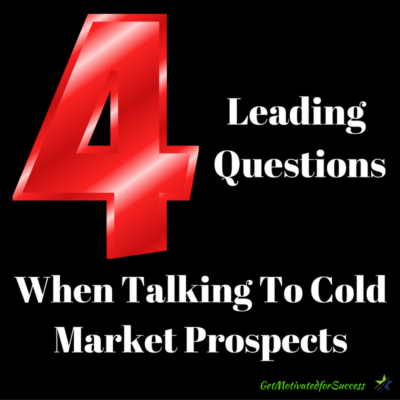 Watch the video below and take notes of the 4 leading questions to ask when talking to people in the cold market. P.S. Learn how to recruit from a MASTER RECRUITER in Network Marketing- Ray Higdon! 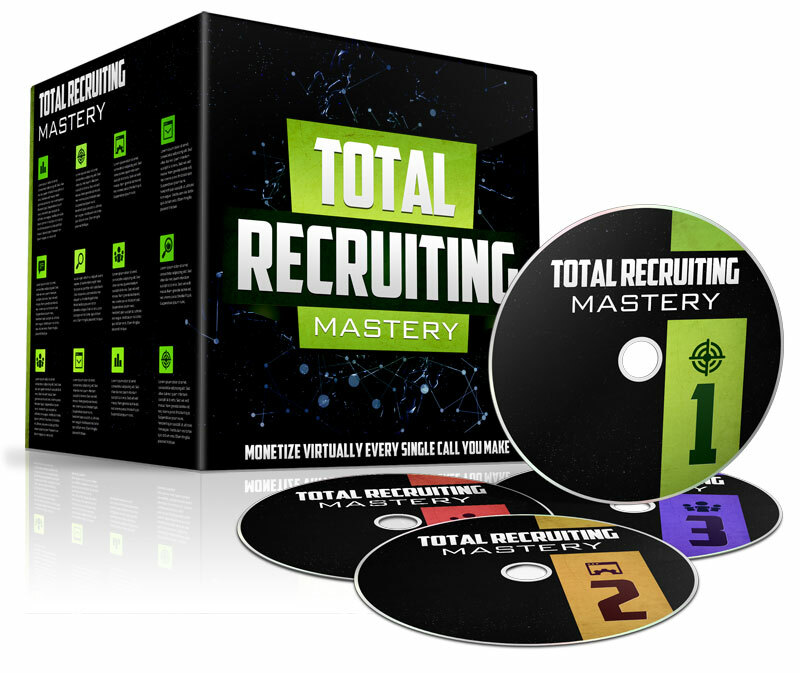 If you haven't recruited at least 7-10 new business reps in the last 90 days, this is for YOU! 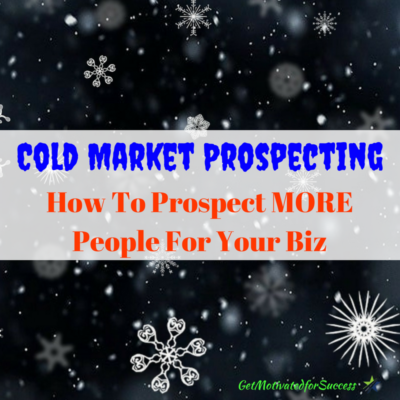 Cold market prospecting is a large part of building a successful Network Marketing business. 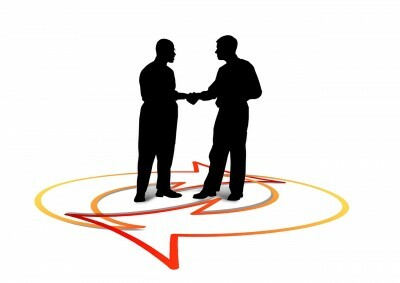 You have to continually add to your “list” of candidates that you would like to share your business opportunity with. The biggest obstacle that I find Network Marketers have (and I had myself) is starting conversations with strangers when you are out and about. You upline or mentor may have taught you some cold market prospecting techniques when you ran out of your initial list of friends and family, but are the techniques working for you? So how can you start conversations with strangers in order to turn them into potential business owners? It can be very frustrating to know that you must add more prospects to your list, but you just don't know how. Wouldn't it be helpful to have a simple training on Network Marketing cold market tips without having to memorize a bunch of scripts? To have something that you can use each and every time that you go out and prospect? Well I have good news for you! I made a very simple to understand cold market prospecting training video- The Jedi Secret To Start Conversations While Cold Market Prospecting. In this video you will learn the Jedi secret on how to start conversations with strangers wherever and whenever you want! How empowering would it feel if you just knew that you could talk to anybody at anytime? 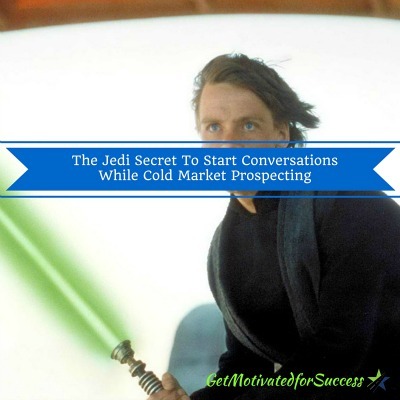 If you want the Jedi secret, watch the cold market prospecting training video below! Once you understand the Jedi secret of cold market prospecting, you will never run out of prospects to share your business opportunity with! You will now be able to build your business from a position of strength rather than weakness (begging people to join your business), because you will know in your mind that you don't need any ONE person; that there are tons of people that you can talk to! 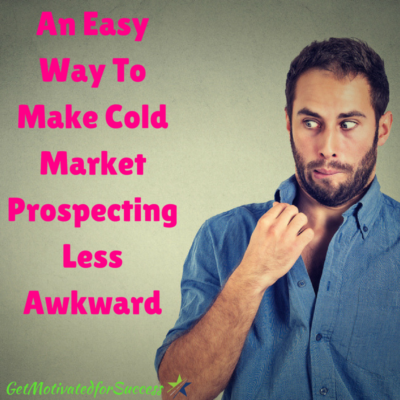 Want More Resources On Cold Market Prospecting Training? Did this help? If so, feel free to comment below and share it with other people you feel can benefit! Do you ever get the, “What is it?” question when you are prospecting for your Network Marketing business? I used to get it all the time! 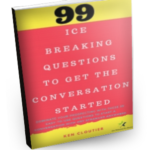 I would be talking to a prospect at a gas station and I would ask the money question only to get the response, “Yeah I am open to making money, what is it?” 15 minutes later I would be still trying to answer every question out there from what is the name of the company to how do you make the money? Clearly, this was not very effective for me! Can you relate? That single question of “What is it?” stumps most Network Marketers and stops them right in their tracks. You see, they want to answer all of the questions that the prospect has so that they don't seem like they are hiding anything, but then the prospect makes a decision as to whether or not they want to get more information about the opportunity based on a 5-10 minute conversation instead of actually seeing the opportunity. This can become very frustrating!! One of my mentors, Ray Higdon, taught me a very helpful and simple way to get past the “What is it?” question and I am going to share it with you in this video! Is that easy or what?! Do you think that the next time you are talking to somebody online of offline about your business opportunity, you can use the tip that I just taught you? I can tell you from personal experience- IT WORKS! If you got value from this tip, please comment below and share! P.S.- Do you need more help with marketing and prospecting for your business? 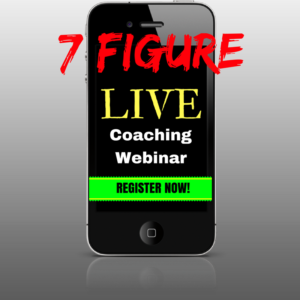 Do you want to know what the 7 part strategy is that the ALL TOP EARNERS do? Fill in your information below and the secrets will be revealed to you!